For 61 years, National Library Week has celebrated the contributions of our nation’s libraries, librarians and library workers in the community. Created by the American Library Association, the annual event is celebrated nationwide. This year’s theme is Libraries = Strong Communities. Since its founding, LA County Library has maintained a strong tradition of community. Over the years, we’re proud to have developed programs and services that addressed the diverse needs of the communities we serve. And speaking of strong communities, National Library Week is a time to show our appreciation to library supporters who are committed to helping appreciate and transform LA County communities. 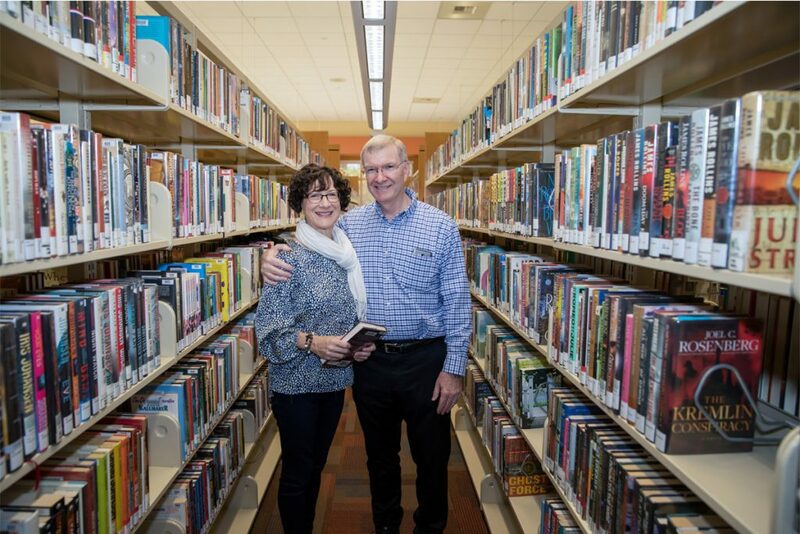 In honor of our stellar supporters, we are highlighting LA County Library fans Dennis and Sharon Poteet, a husband and wife duo who are huge fans of books and libraries. The Whittier couple have been on a mission to visit all of our 85 community libraries —a big geographic feat, considering they are spread across 3,000 square miles of Los Angeles County! 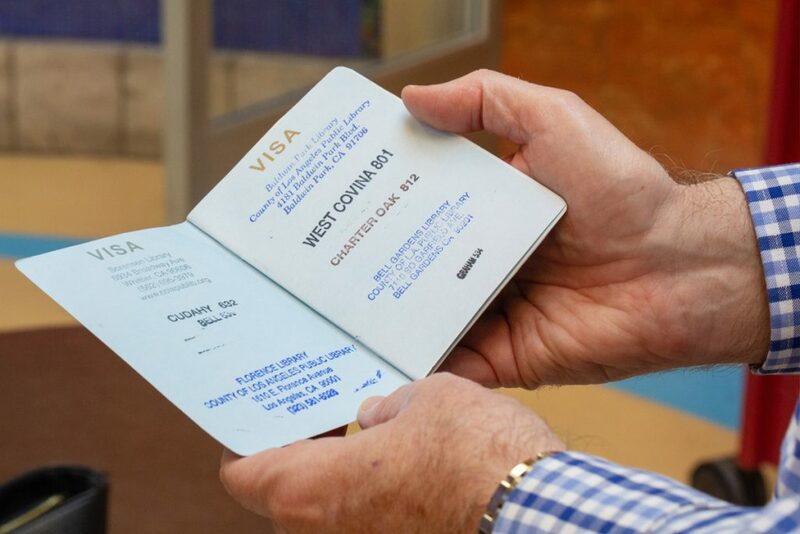 The Poteets carry this homemade passport to mark their visits. The Poteets are close to completing their mission with one remaining library to tour. When asked about their favorite standout LA County Library locations, they couldn’t pick just one! Using the self-check machine at East Los Angeles Library. Photos by Monica Almeida. The inspiring couple consider themselves total bibliophiles, owning hundreds and hundreds of books until recently. Due to space limitations, they started utilizing the library regularly, rather than buying books. Sharon is currently reading The Nightingale by Kristin Hannah, and Dennis is reading Shadow of Night by Deborah Harkness. Thank you to all of the wonderful library supporters who continue to make our libraries and communities strong. Happy National Library Week!